Live chat and track conversations from visitors on your website within Microsoft Dynamics 365. 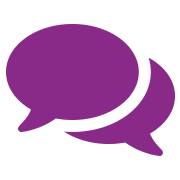 PowerChat users are able to interact and track conversations with visitors to their web page, all from within Microsoft Dynamics 365. 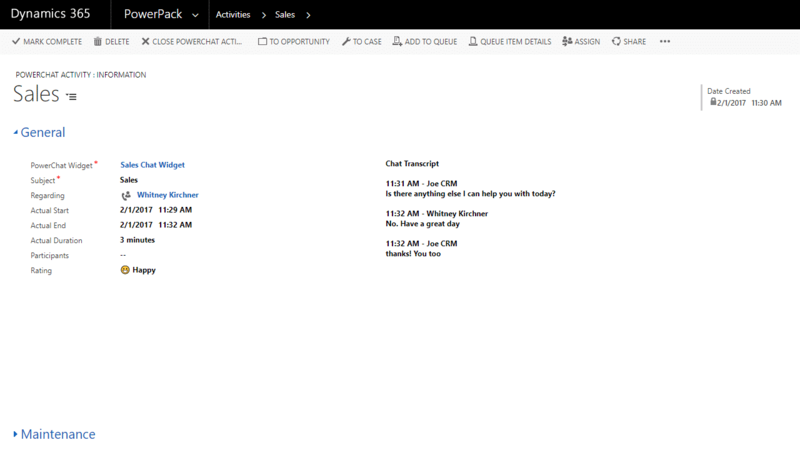 Open lead and contact records automatically when a chat begins or create a new record directly from the PowerChat window. 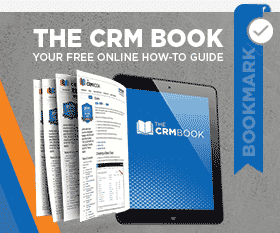 Create lead and contact records in your CRM directly from the chat window. 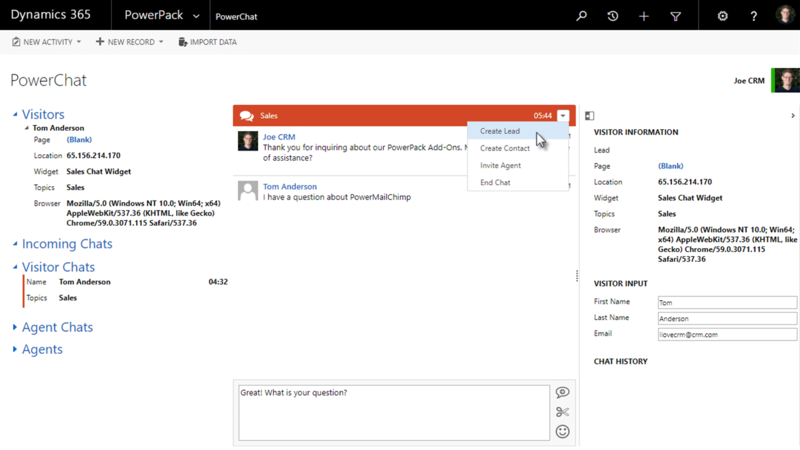 Assign PowerChat agents to specific topics or departments. Invite multiple PowerChat agents to join the conversation. View web page visitors in real time. Response timer displays how long a visitor has been waiting for an agent to respond to a chat. 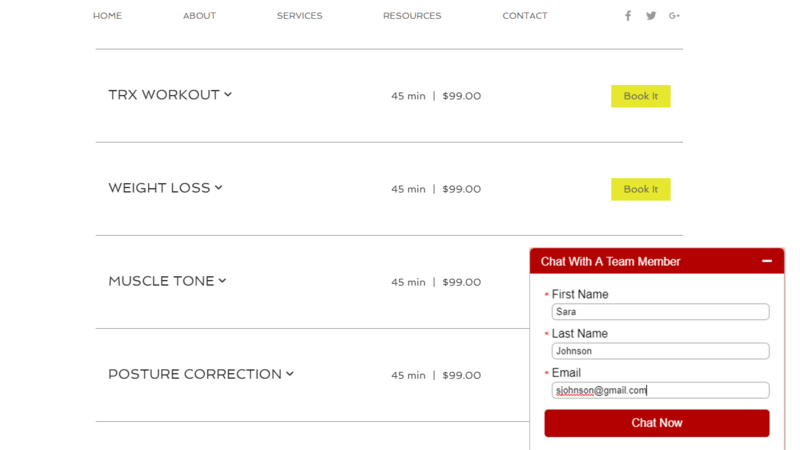 Live chat transcript displayed in the activity section on a record. 30-day free trials available for all PowerPacks! 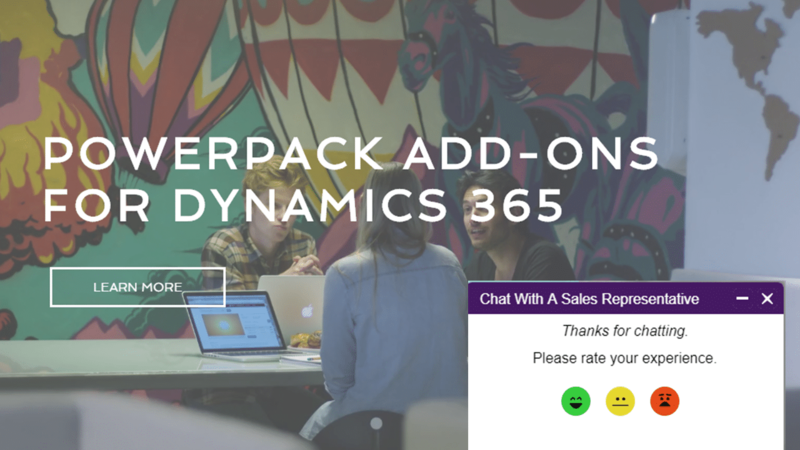 Live chat and track conversations with visitors on your website within Microsoft Dynamics 365. – If agent accidentally leaves a chat, it is now saved. It’s also saved every 30 seconds during the chat. – Enhancement: The ability to create a Case from the chat session like how we can create a contact or lead.